The Pentagon has already taken the decision to arm Kurdish fighters in the assault on Raqa, a move that upset US ally Turkey. "We have had tremendous success against ISIS," Donald Trump said at a cabinet meeting. 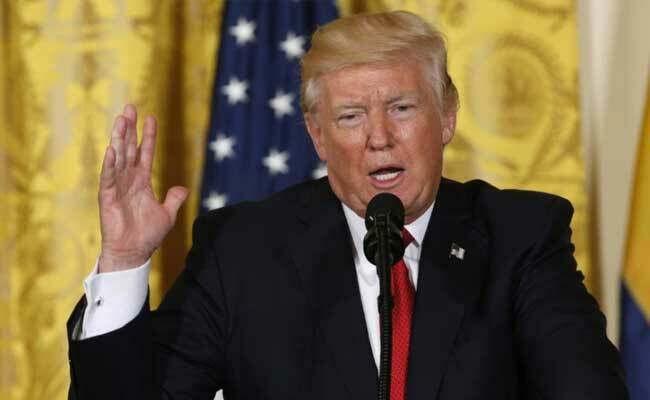 Washington, United States: US President Donald Trump on Monday promised to reveal details of his long-awaited plan for fighting the ISIS group, saying a press conference will come within weeks. "We have had tremendous success against ISIS," Trump said at a cabinet meeting at the White House. "We are going to be having a news conference in two weeks on that fight and you'll see numbers that you would not have believed." Tackling the group -- which still controls swaths of Syria and Iraq -- was among Trump's most often repeated campaign promises. Then candidate Trump went as far as to promise to "bomb the hell" out of them and have a military plan on his desk within 30 days of moving into the White House. Six months after taking office, Trump has yet to sketch out his strategy. Meanwhile efforts to retake Mosul in Iraq and Raqa in Syria -- the capital of the self-styled caliphate -- have continued apace. Officials warn that the fight against the ISIS, while simple on its face, is made more complex by competing interests in Syria. The United States would like to improve the humanitarian situation, keep Turkey onside, ease the possibilities of clashes with Russia, hasten the transition away from President Bashar al-Assad's rule, limit Iranian influence and keep Syria and Iraq's borders intact.